Do you think about converting Lotus Notes to Outlook but fail to find the courage to do so? Are you a Lotus Notes user who wants to convert Lotus Notes to PST but cannot do so because of the lack of a reliable Lotus Notes to Outlook converter? Lotus Notes to Outlook migration is now totally possible even without previous experience. It can be done with the help of professional tools that are specially created to convert NSF to PST format. If you are someone who is tired of looking for a Lotus Notes to Outlook conversion tool, we have the right solution for you. It is a professional tool which has been created to eliminate all the dangers related to the Lotus Notes to PST transfer process. It is called the Shoviv Lotus Notes to Outlook converter. What is the Shoviv Lotus Notes to Outlook converter? It is a specialized Lotus Notes to Outlook migration software which was needed by many Lotus Notes users who wanted a safe, fast and easy to use solution to convert NSF to PST files without any risk. The best thing about this tool is that it is incredibly easy to use and it supports all versions of Outlook and Lotus Notes. Even a first time user who has no experience of Lotus Notes NSF to PST conversion can easily migrate NSF to Outlook PST with this tool. It also safeguards your Lotus Notes email database without affecting the originality of your email files or related data. Overall, it can be said that it is the ideal Lotus Notes to Outlook converter software out there which never fails. This NSF to PST converter was mainly designed to help inexperienced users who don’t know how to convert Lotus Notes to Outlook. The tool can be installed in very quick and easy steps. You can get 100% accurate results without worrying about the safety of your database. The tool is absolutely error free. You will never experience any lags or performance issues with this tool. You can be stress-free since this tool does not crash even while working with large files. The tool has high-performance capacity and works flawlessly all the time. The tool works in order to protect the user’s email database at all times. It has been clearly designed to safeguard the whole NSF to PST transfer process so that no files are lost. You get an assurance of complete data safety and no data loss either during or after the conversion. Your Lotus Notes files are totally safe with this tool. Who doesn’t like to be sure before doing something important? This tool offers you the chance to preview your email files before you convert them from NSF to PST. This ensures that you don’t miss any important files or folders during your email database transfer. The tool works at high speeds and is fluid in usage because of its user-friendly interface. This GUI was created to be smooth and clutter free for easier conversions. It is due to this user interface that even first-time users are able to convert NSF to Outlook without risking their email files. It enhances the whole Lotus Notes to Outlook migration experience. This tool is loaded with another amazing feature which increases its overall worthiness for all Lotus Notes users. It is able to export NSF to multiple formats. The tool converts NSF to PST, EML and MSG formats. If you don’t know this, then you will be glad to know that the EML format is compatible with multiple clients. This feature is the most useful while migrating files from a particular folder to another. 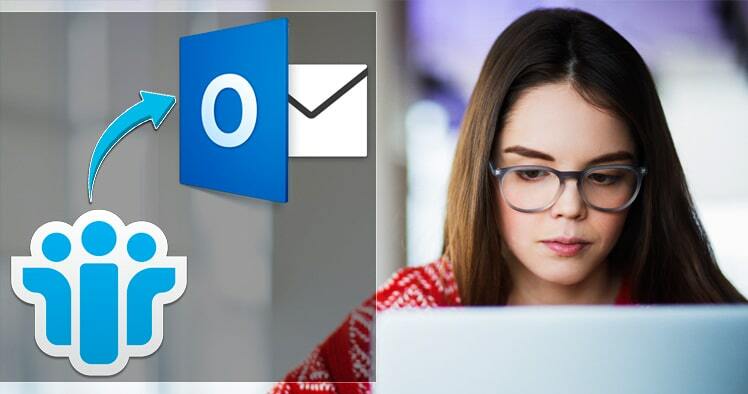 For example, the Lotus Notes email client stores its incoming emails in the “Mailbox” folder while the MS Outlook application stores the emails in the “Inbox” folder. Here is where you can map the source and destination and convert directly. The email translation feature comes to your rescue when you have to convert Lotus Notes and Domino Server to Live Exchange and Office 365. The user can easily change the email addresses according to the destination server’s email address. When you convert NSF to PST files in bulk, there are a lot of large Lotus Notes files that get converted. Lotus Notes has no size limitation for its files but Outlook has a limit of 50 GB. So the larger PST files are split into user-defined sizes whenever required. The free demo of the Shoviv Lotus Notes to Outlook PST converter is now available for download. When you are satisfied with its results, you can freely upgrade. You are offered free support and free updates with the full version. To download and test the free trial right now, click here.